Gelato Festival America came to Washington DC this weekend to celebrate the culture of artisanal Italian gelato. 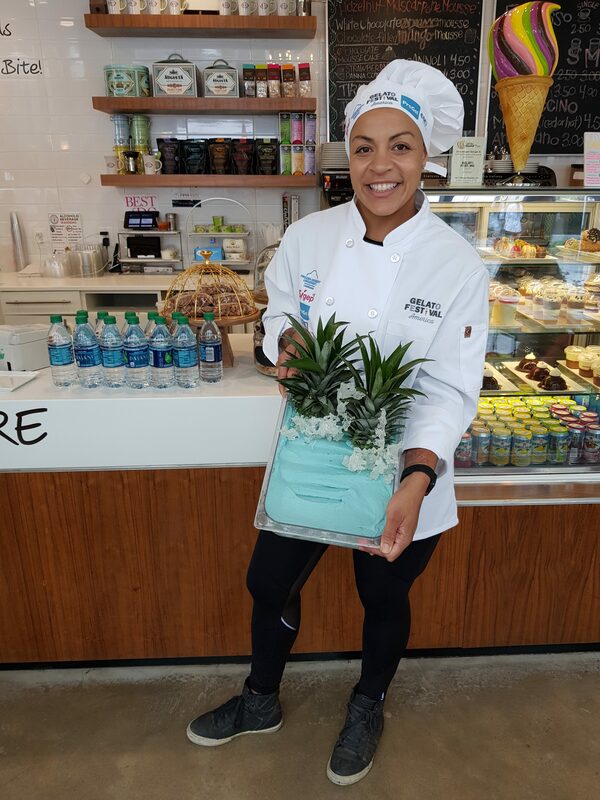 Great Artisan Gelato is a combination of the science of production, the creativity of presentation & flavors, and the passion to share the edible art of gelato. 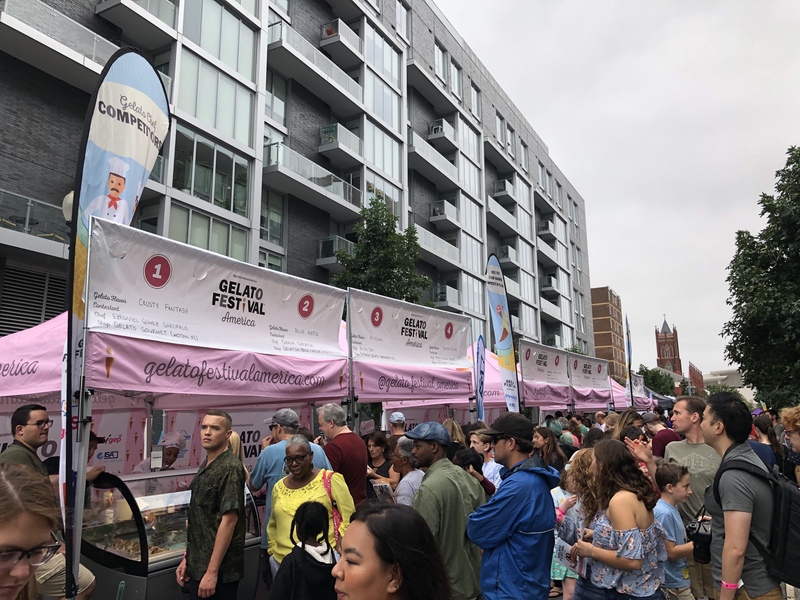 Despite the rain all weekend, the Gelato Festival was packed! We arrived early, before the lines, and enjoyed trying each competition flavor. Our little judges enjoyed most of the flavors, but the Blue Majik by Sierra Georgia was their favorite by far! The bright blue color and refreshingly sweet flavor made them smile ear to ear. In addition to the gelato tasting, we all really enjoyed the celebration of culture and history of gelato. 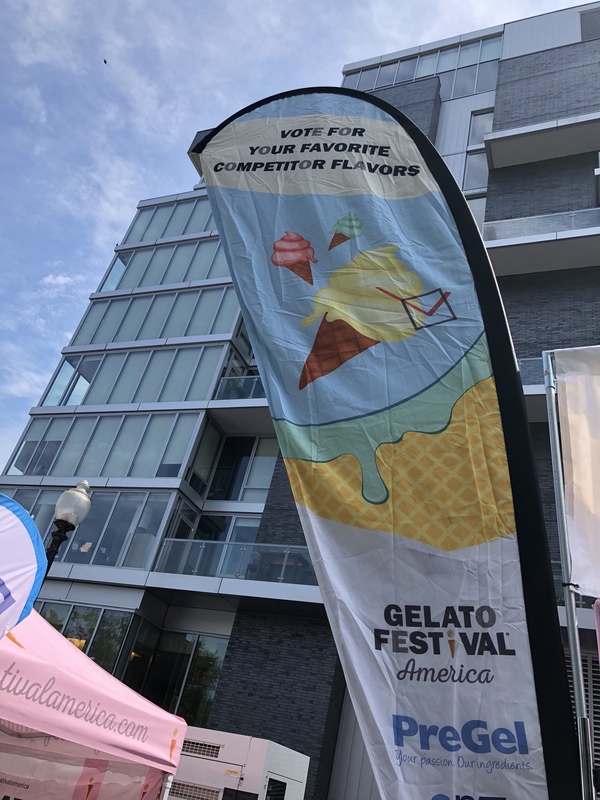 Entry to the festival includes sampling of each competing flavor, sampling of other unique gelato flavor, admission to Gelato School, participation in contests and activities, and voting for favorite flavor. 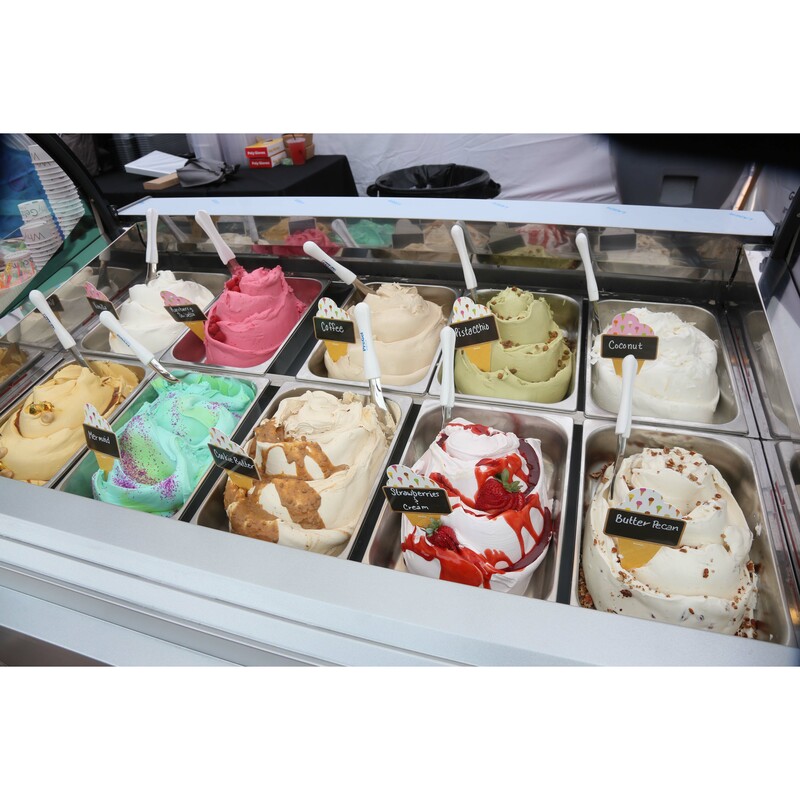 The Gelato Festival is a fun family event that will have you wanting to experiment with your own flavor combinations. 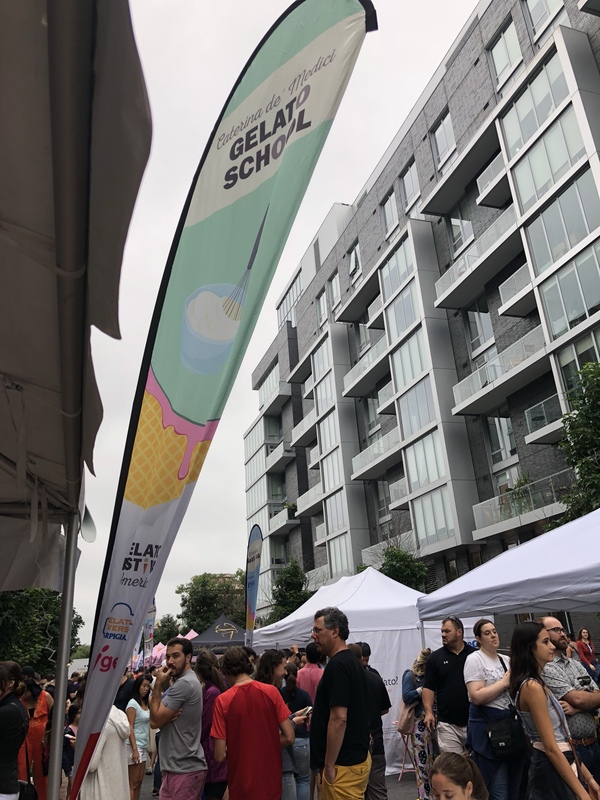 Gelato School is in Session! 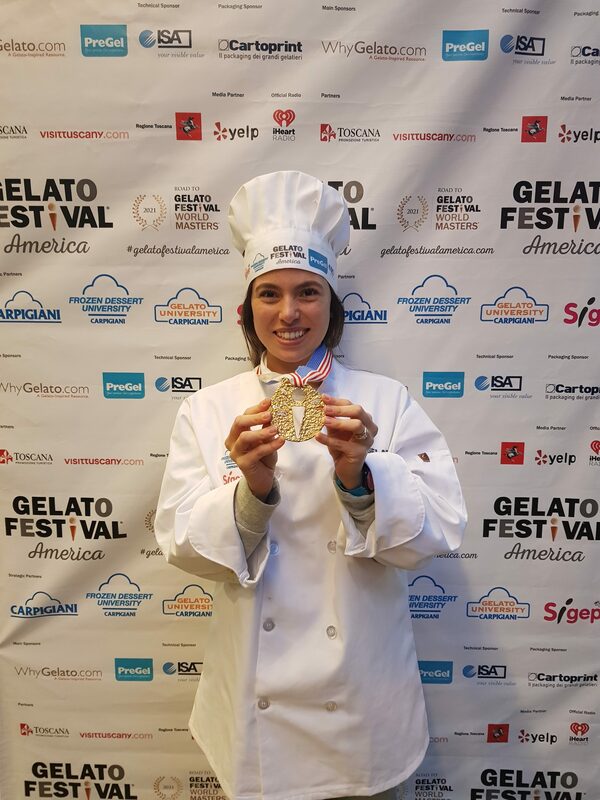 The Gelato Festival started in Florence Italy in 2010 and has expanded its borders, spreading throughout Europe and finally to the United States in preparation for the Gelato Festival World Masters 2021. 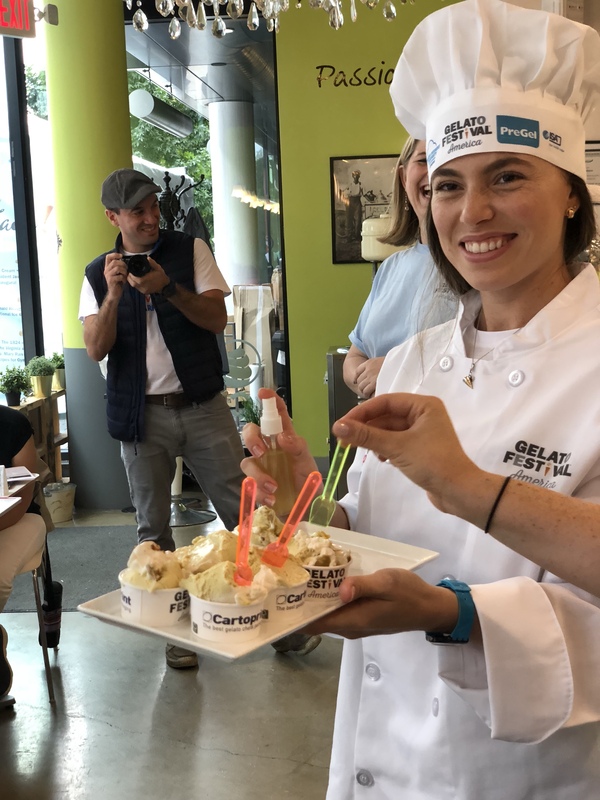 As the Gelato Festival America travels to 7 US cities this year the top gelato chefs will compete for the 3 openings to represent the United States at the world championship. The Technical Judges are selected from each city. In addition to the Popular Judges are attendees. The overall winner is a combination of Technical Judge votes and Popular Judge votes. In addition, there is a Kid Jury which selects their favorite for a special award. 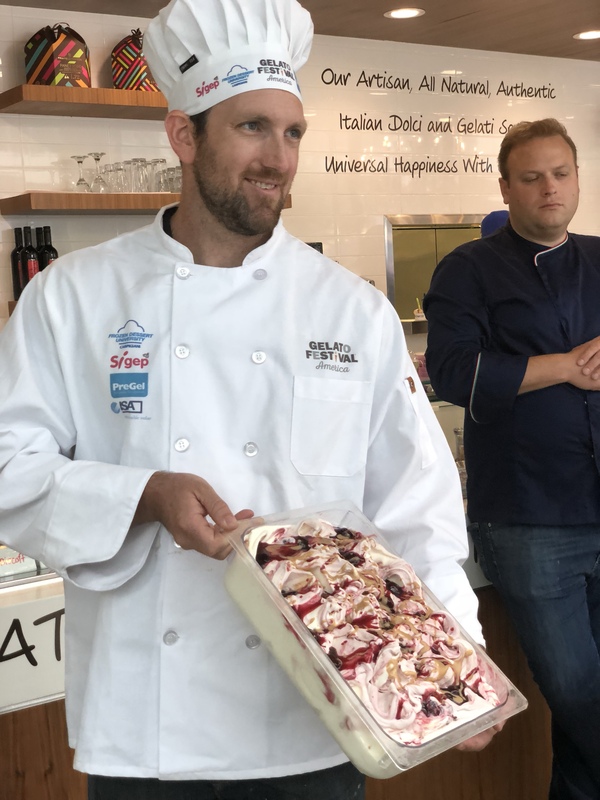 Here in DC we have Gianluigi Dellaccio, an Ambassador of Gelato Festival, who is sharing his passion for gelato daily at Dolci Gelati! 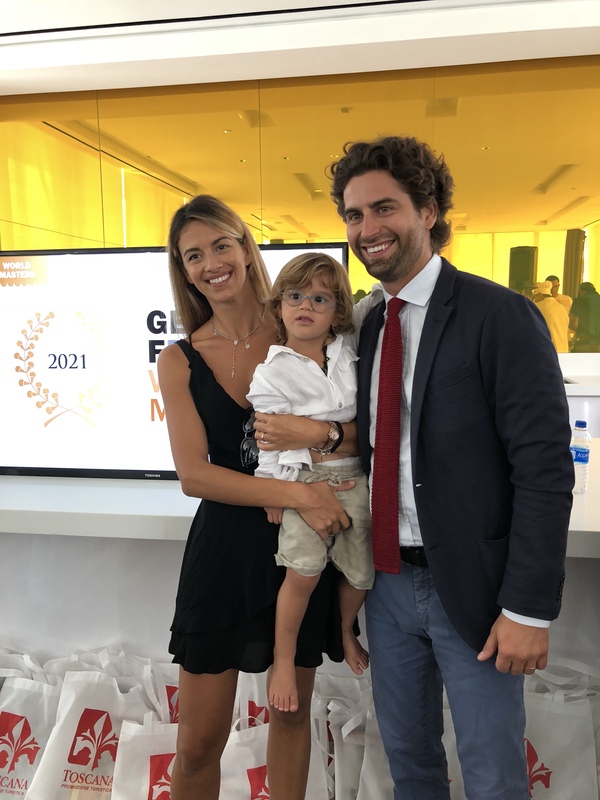 Gianluigi Dellaccio has been the leader in sharing gelato with our Nation’s capitol and played a pivotal role in bringing the Gelato Festival America to Washington DC. 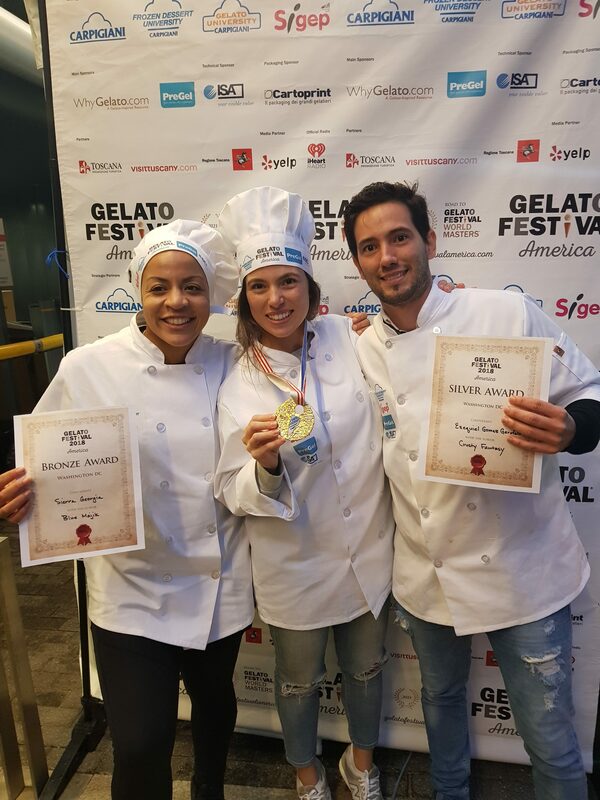 Gianluigi was also the winner of the Gelato Festival in Boulder, Colorado last year. 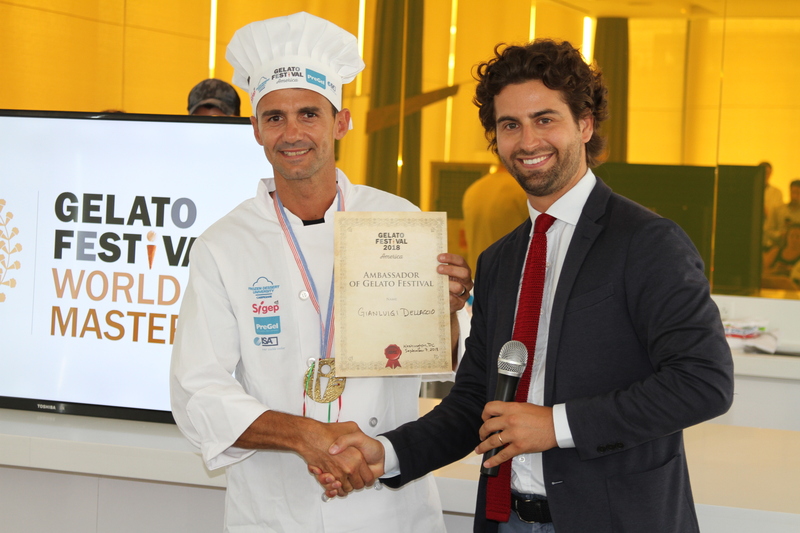 I had the pleasure of meeting Gianluigi this week through his involvement with the Gelato Festival America. 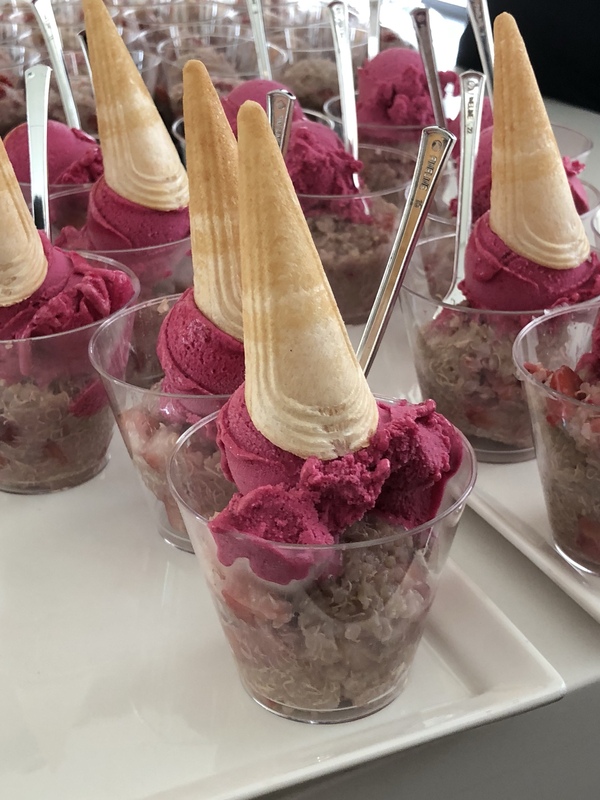 I tasted his award winning honey, mascarpone, figs gelato and was delighted by his lunch gelato: strawberry quinoa salad with red beet strawberry cucumber sorbetto. 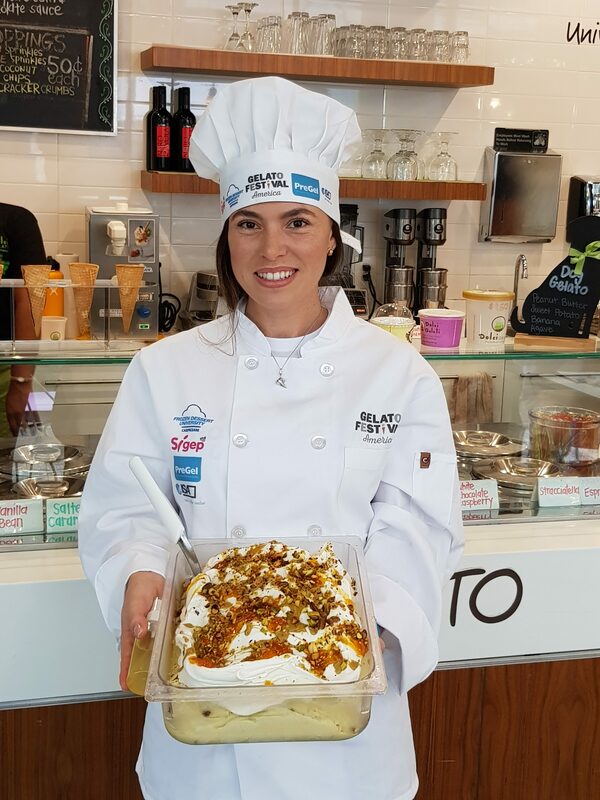 Gianluigi Dellaccio is pushing boundaries on what gelato is while staying true to its rich heritage. 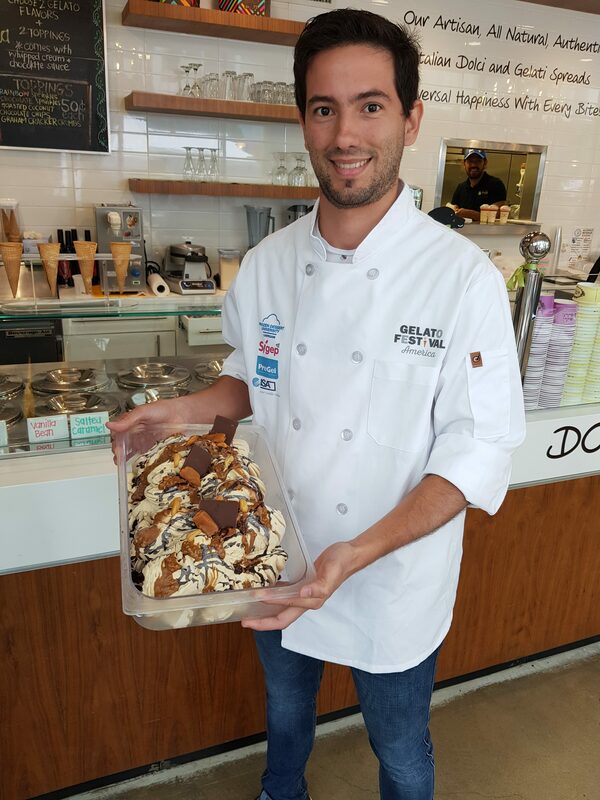 Gianluigi loves making Gelato because it brings happiness with every bite. 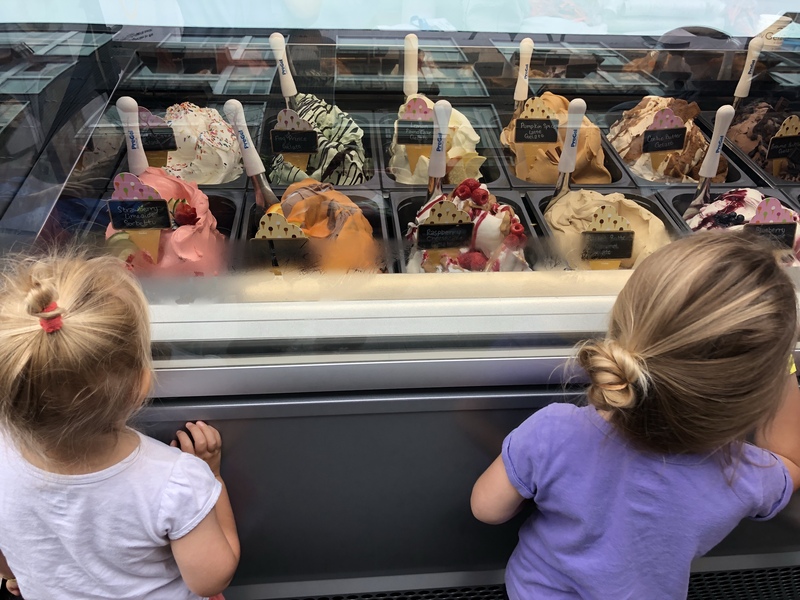 You can try your hand at gelato happiness at home, courtesy of Gianluigi. He shared with us a basic gelato recipe that he likes because it gives the flexibility to use or not use egg yolks. The egg yolk is great as an emulsifier but may be removed for dietary restrictions. Total 1.000 kg (1.110 Kg with egg yolk). Bring the milk to 84 Celsius and add the sugar,Milk Powder and Dextrose Sugar and blend well and set aside. Add the heavy Cream and let it cool off. *If you want to use the recipe with eggs bring the milk to 65 Celsius and continue like the other procedure. When the Gelato Base has being cool down it is ready to be spin in an Ice Cream Batch freezer. Note: You can flavor this base with anything you want.